It was a close contest with several games in doubt up to the final hole. Elliot Strickland and Jack Peters clinched their win on the par 5 18th after great approach play, and while Oscar Bell and Kai Raymond had gained an early point winning 5 & 3 a couple of lost matches had now put the final result in the balance. It looked as though Beds would take a lead as Harry Smith and Isaac Redding (making his debut) were 2 down with 2 to play but they won 17 and Isaac’s excellent par on 18 saved the half and set up what was to follow. The teams were now tied at 2.5 each with two matches remaining. 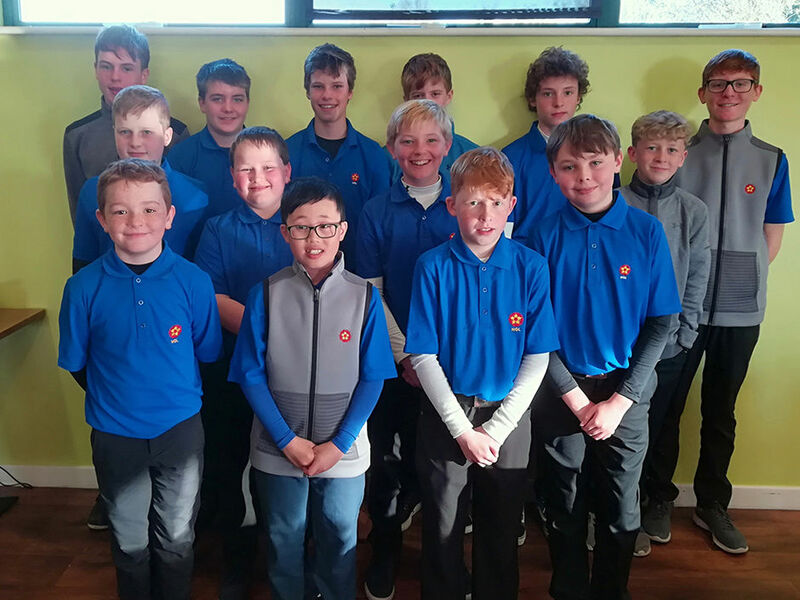 At the same moment new boys Aiden Jaggard and Jack Meakin clinched their match on 16 by 3 & 2, Ben Atherton and Jadon Pham kept their nerve, and finished their game on 18 with Ben’s brilliant par proving crucial to give the team an overall win by 2 clear points. Northants win maintains the U-14 unbeaten record in Friendlies home and away since 2017. Team photo attached. Other photos to follow.